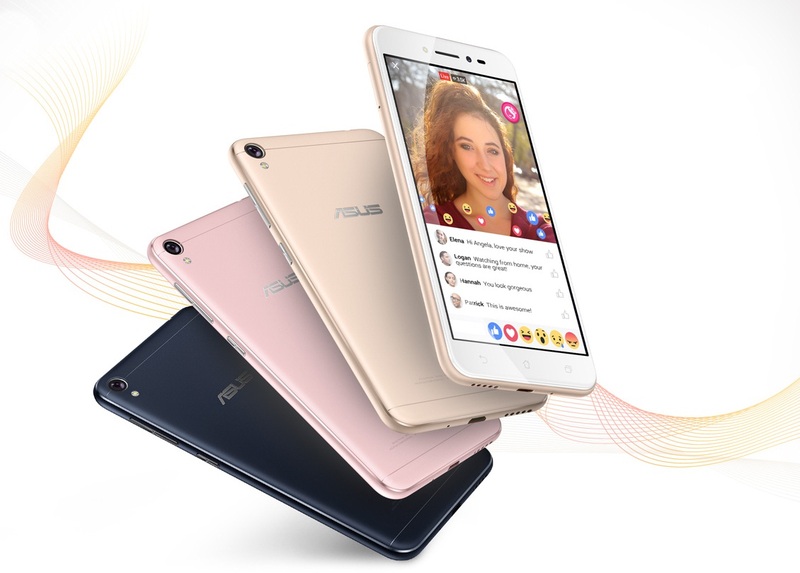 ASUS announced its new phone, the ZenFone Live which is the world’s first smartphone with hardware-optimized beautification technology. ASUS Zenfone Live has 5 inches with 75% aspect ratio screen display and 2.5D contoured glass. The phone is supported by Qualcomm Snapdragon Quad-core processor and runs with Android 8.1 Oreo and ASUS ZenUI 3.0. The rear camera has 13MP while the front camera has two times light sensitivity with large sensor 1.4um pixels. Both cameras have soft-light LED flash for natural skin tones. The phone memory has 2GB of RAM and 16GB or 32GB of ROM that can be expandable up to 128GB through MicroSD Card slot. The battery capacity has 2650 mAh. The sensors of the phone are Accelerator, E-Compass, Proximity sensor, and Ambient light sensor. The new phone is now available in the US through Best Buy. The price starts at $109 and the available colors are Navy Black, Rose Pink, Shimmer Gold, and Azure Silver.